Over the years, the app based cabs have made quite an impact amongst the individuals, who are in need of a professional taxi. These cabs are tailored to pick you up right at the door steps and ferry you to the desired destination within a stipulated frame of time. Be it a ride from the airport to your home, or ride from your home to your corporate location, you can always rely on these cabs. Frankly speaking with the rapid advancement in technology and proven approaches, still individuals prefer the old traditional taxis. 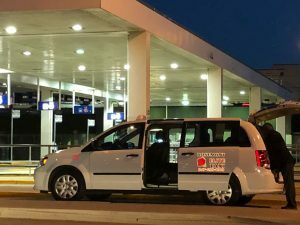 When asked, they might throw you a counter question, on why they should book these advanced app based Buffalo Grove taxi. Well in order to answer them, or let them know the advantages, you can learn some benefits of of these cabs. These cabs are no refusal and will be there in time- In case of a traditional cab, they might not always pick you up in their taxis. At the same time during emergency it is really very difficult to get a cab. Be it at midnight or during the rush hours, it is a daunting task to board a cab. But if you are booking an app based cab, you can be rest assured that you are bound to board it in just a few minutes. They are no refusal cabs and the price charges are very much transparent. The drivers are professional- The drivers operating these cabs are professional and have enough knowledge on the local areas. They are perfect to drive these Oak Brook taxi, as they can let you know about the places of interest if you are a first time visitor in the city. All you can do is count on them for a valued and professional service. More importantly you can enjoy a seamless and transparent service.